FOUDY CPA GROUP, PC is a Fort Wayne, IN CPA firm that assists owner operators, over-the-road commercial truckers, and trucking companies of all sizes with their transportation accounting needs. 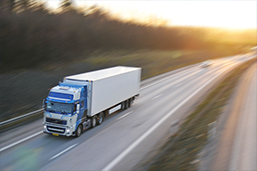 We employ proven accounting solutions and financial strategies that are a result of years of experience working with clients in the trucking industry. We offer bookkeeping, payroll, financial statements, tax planning and much more. With our support you'll refine internal controls, manage your money effectively, and keep more of your profits. Tax preparation for truckers and the trucking industry is more complicated than the average tax return. When you work with us you'll be confident that you're taking advantage of all possible deductions. We stay on top of any changes in the tax code and how they impact your industry. We'll not only make sure you're in compliance with all applicable tax regulations, but with FOUDY CPA GROUP, PC in your corner, you'll never pay more than you owe. We invite you to contact us at Fort Wayne: 260-432-4565 or Bluffton: 260-824-1040 and set up a free initial consultation today to learn more about our transportation tax and accounting services. Track your tax refund, use tax calculators, and more in our Tax Center. © 2019 Websites for accountants designed by Build Your Firm, providers of the best websites for accountants.